Mother’s Day is this Week! Come by Jones and Son for the Best in Little Rock! Mother’s Day is this week! Make sure to stop by Jones & Son Diamond & Bridal Fine Jewelry in Little Rock for the best selection of gifts for that special Mother. We have recently expanded to feature a Pandora Shop in Shop in our store. We also boast the best selection of Caerleon in Arkansas and feature all styles of oval and square bezels to fit all Caerleon designer rings and jewelry. Finally we offer the area’s best Mother’s Day gift which is BabyFeet Jewelry. BabyFeet is the perfect gift for Mother’s everywhere. Come see these and other unique gifts for Mom only at Jones & Son. BabyFeet Jewelry is HOT this season at Jones and Son Diamond and Bridal Fine Jewelry in Little Rock, Arkansas. BabyFeet is the essential jewelry for new and expecting mothers and grandmothers. BabyFeet is a real winner for mom’s this Mothers Day. 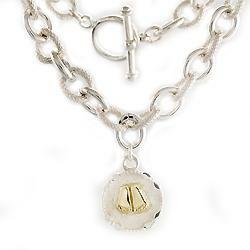 Kristen Marr of BabyFeet will be in IJO Dallas 2010 this week for the IJO Jewelry Show. Jones and Son is a proud President’s Club member of the Indpendant Jewelers Organization , the lragest buying group in the world. BabyFeet Jewelry is the perfect gift for a new or expecting mom this Holiday Season. BabyFeet designer Kristen Marr has assembled the finest metals and gemstones to create the perfect bland of fashion jewelry for mom’s of all ages. BabyFeet is available in both Sterling and Gold collection and is available in all price ranges. BabyFeet will be a featured product at Holiday House Little Rock, Arkansas. Holiday House will be held at the Statehouse Convention Center next to the Peabody Hotel in Downtown Little Rock, Arkansas. Holiday House 2009 will be featuring BabyFeet at the Jones and Son Diamond and Bridal Fine Jewelry booth. You want it today; you’ll wear it forever. Savvy moms wear BabyFeet, unique slide bracelets, necklaces and charms. You know your style; we’ll help you enhance it. The BabyFeet collection includes slide pieces for necklaces and bracelets handcrafted to represent each child in your family. Each piece is available in 14 karat yellow or white gold, with your choice of genuine birthstones, pearls or diamonds. At “Babyfeet” we take pride in every detail, by providing a choice of custom clasps with gemstones or hand engraving to add the finishing touch to your bracelet. You’re a proud mom, and you want to say it with style. Not too trendy, but very exquisite, BabyFeet pieces are designed to remember those precious little feet that are often forgotten, as they get big. You know, those soft tiny feet that have never worn shoes, never even been walked on.